Although some studies indicate that marijuana use is associated with changes in brain structure, other studies have not found such a relationship. Recent research funded by NIDA and NIAAA explores whether alcohol use may play some role in these discrepant results. In this study, adult and teen participants were asked about marijuana, alcohol and other substance use within the last 60 or 90 days, respectively. They were then categorized as daily marijuana users or non-users, based upon their frequency of self-reported use during these time periods. Age-matched groups were then assessed for hazardous alcohol drinking or dependence to ensure daily users and non-users did not differ in this regard. Groups were also matched on other factors – such as tobacco use, depression, and sensation-seeking – in attempt to also minimize the effects of these variables. 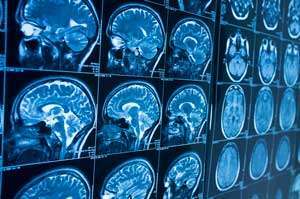 All participants underwent high-resolution MRI scans to assess gray matter volume and structure in regions that had been the focus of past studies looking at marijuana’s effects in the brain: the nucleus accumbens, amygdala, hippocampus, and cerebellum. Researchers found no differences in the size or shape of these brain regions when comparing daily marijuana users and nonusers. The authors note that these findings do not prove that marijuana has no effect on brain structure. More research is needed to rule out other factors that could affect brain development and that were not examined in this study, such as longer-term marijuana use, maternal substance use, stress, and nutrition. In addition, research is also needed to address whether structural differences are linked to changes in brain function and/or behavior. However, these findings emphasize the need to control for other drug use when examining whether marijuana is associated with changes in brain structure. Daily marijuana use is not associated with brain morphometric measures in adolescents or adults; Barbara Weiland, Rachel Thayer, Brendan Depue, Amithrupa Sabbineni, Angela Bryan, and Kent Hutchison; Journal of Neuroscience; Published Online: January 28, 2015.